History of the OU » Blog Archive » 50 objects for 50 years. No 34. Walton Hall. « 50 objects for 50 years. No 33. Blithering opponents. 50 objects for 50 years. No 34. Walton Hall. 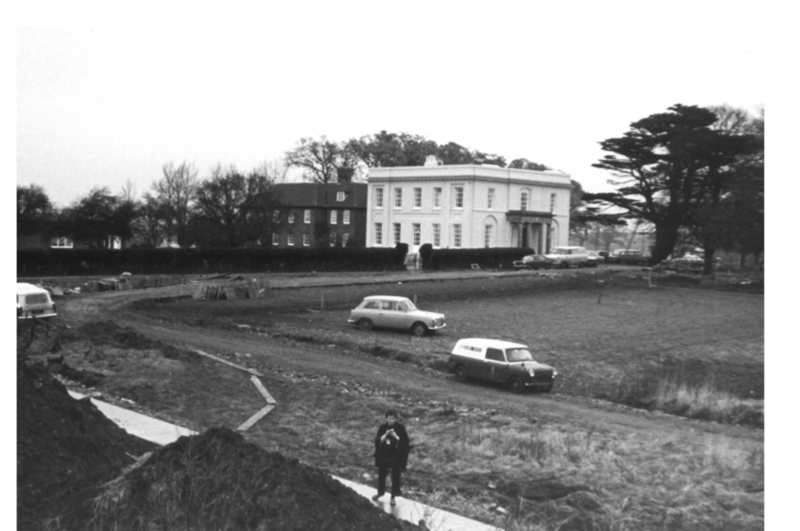 Walton Hall in the mud as the rest of the OU campus in Milton Keynes was being constructed. The building has medieval origins but is largely a late 17th Century manor house, extended in the 18th and 19th centuries. 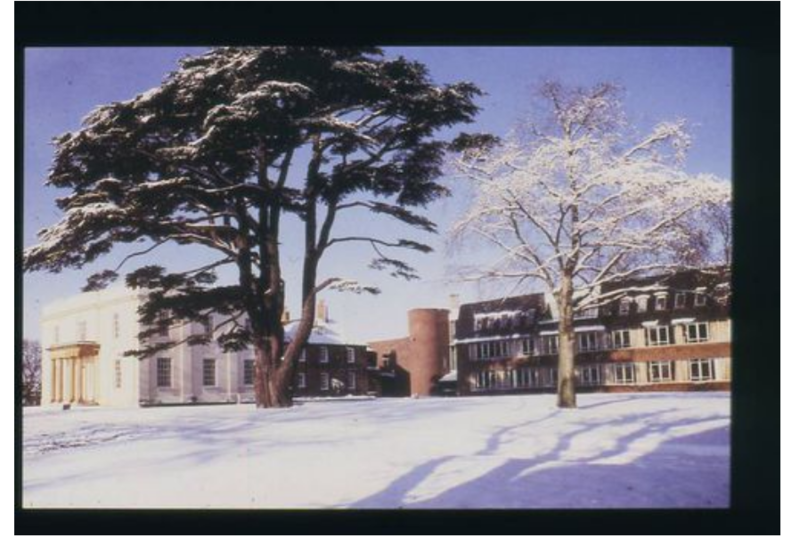 The University leased the building and the land from Milton Keynes Development Corporation from 1 September 1969 and subsequently purchased both land and property during the 1990s. Walton Hall is the site of OU’s foundation stone, laid on 18 May 1970 by Earl Mountbatten. In common with the OU he had links to unconventional education in that he was educated at home before he attended a school and then the Royal Naval College. After serving in the First World War he became a mature university student. He later returned to the Royal Naval College as an adult learner. His membership of the Institute of Electrical Engineers and presidency of the United World Colleges were reminders of the OU’s international and economic roles and its appeal to prescient technocrats. The building is where the Vice Chancellors have had their offices and the entire campus is often referred to by the named of this Grade II listed building. The Hall is also home to several portraits of Jennie Lee and many of the Vice Chancellors. The basement is where a bar is located. Following a grant from the Aneurin Bevan Memorial Trust, its cellars were converted into rooms for social and recreational purposes, in order, noted the Report of the Vice-Chancellor, January 1969–December 1970, to ‘establish friendly contacts with members of the general public and other institutions in the area’. back to all the years when Nye Bevan and myself were together [he died in 1960]. We knew, we both of us, from our backgrounds, that there were people in the mining villages who left school at 14 or 15 who had first-class intellects. The problem was how could you devise a scheme that would get through to them without excluding other people? This entry was posted on Monday, December 10th, 2018 at 12:01 am by Daniel Weinbren	and is filed under 50 objects. You can follow any responses to this entry through the RSS 2.0 feed. You can leave a response, or trackback from your own site.